New Zealand based artist-hacker Julian Priest‘s latest project is an orbital artwork called The Weight of Information, based on a pico-satellite was originally scheduled for launch on March 30th, to orbit the Earth for 3 weeks before burning-up on re-entry. It was finally launched on April 18th. Pixelversity 2014 celebrates and engages with this endeavour as part of its ‘infowork’ thematic. 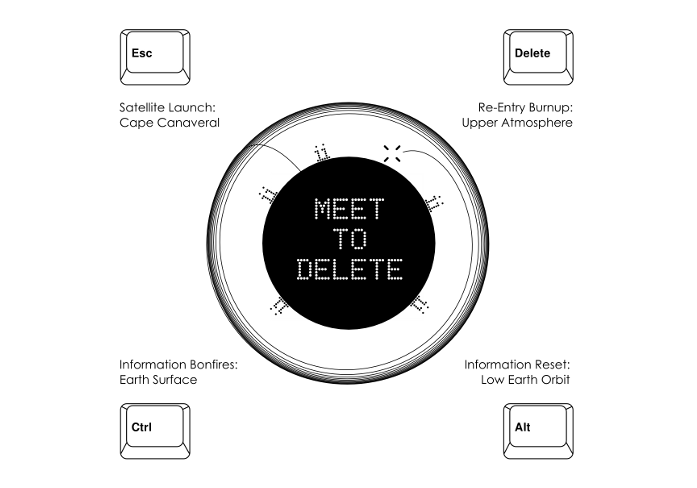 We will arrange one of the related ‘Meet to Delete’ events taking place during the pico-satellite’s orbit-time and so life-span, inviting a group of people together for a bonfire party to delete information in solidarity with the satellite. 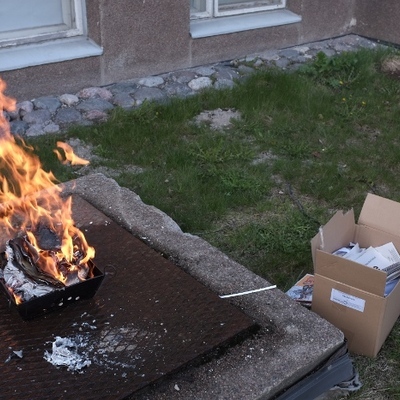 Julian Priest will provide satellite tracking through a simple website, and request a matchbox of ash as documentation (we must be careful not to create too much information). 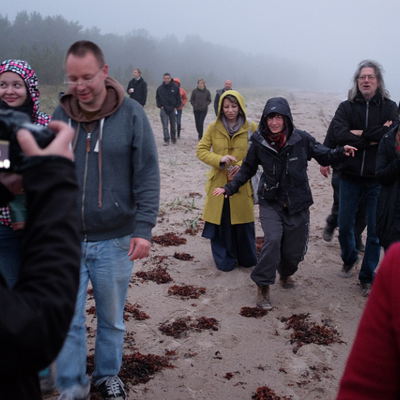 We meet up at Pixelache office (Kaasutehtaankatu 1) in Helsinki on 5th May at 17.00. The 2cm x 2cm low-cost autonomous satellite will be launched as part of Zachary Manchester’s Kicksat project into low earth orbit. The satellite will be launched from Cape Canaveral on ISS resupply mission CRS-3 along with a cloud of ~ 200 identical pico-satellites. It will orbit The Earth in an intentionally decaying orbit for approximately 3 weeks before burning up on re-entry. During this time it will transmit information from it’s on-board accelerometer and magnetometer back to listening stations on Earth. Changes in the orbit the satellite’s informational state transmitted to earth where they will be visualised in Earth based artworks. ‘The Weight of Information’ project is kindly supported by Creative New Zealand.